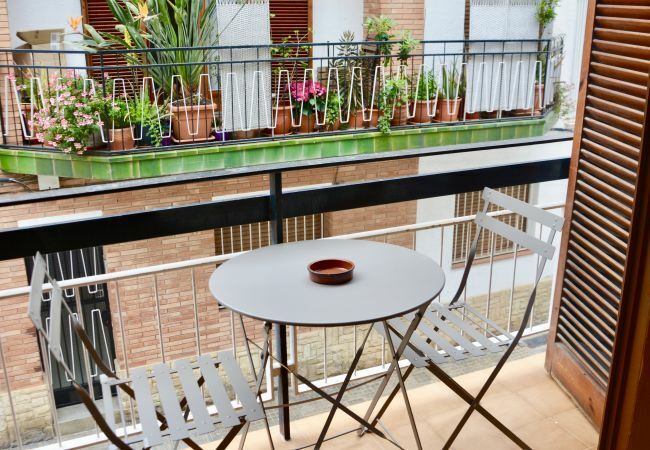 Comfortable, economical 2 bedroom apartment (1 double,1 single) plus sofa-bed in a residential area of Sitges but just a 5 minute walk to the town centre and the beaches. The apartment has a sitting room, with air conditioning, a new TV and a dining table for 4. 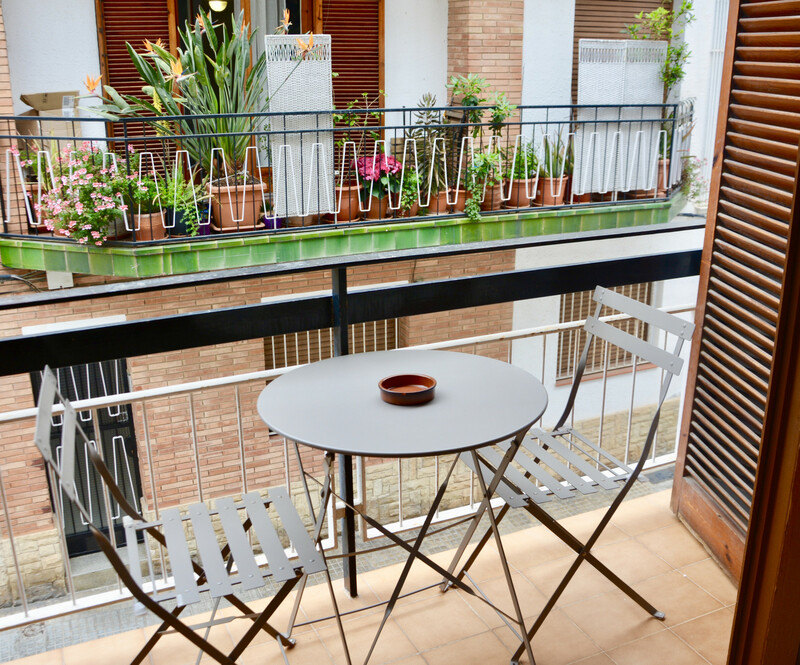 There are doors leading out onto a small balcony with a table and chairs (street view). The master bedroom has a double bed and there is a further single bedroom (both with new beds). The bedrooms both have fans and radiators for winter stays. There is also a bathroom with a bath and shower. The kitchen is fully equipped for self-catering. Internet Wifi. Washing machine. This apartment is a great choice for those who want to live amongst the locals but also be near the centre and beach. It offers good value for a couple or small family. The apartment is on the first floor, no lift. - 1 TV, 1st floor, iron, internet (Wi-Fi), hair dryer, balcony, 62 m² property, air conditioning in the living room, 2 fans.